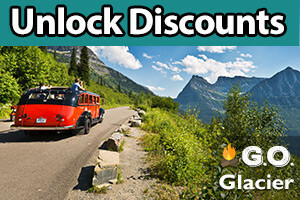 Throughout Glacier National Park you’ll find crystal clear lakes and rivers on which you can canoe and kayak, basking in the bright sun and surrounded by towering peaks and wildlife. We rent kayaks, Stand-Up Paddleboards, and 2-person pedal boats (see our locations). You can pick-up at our locations or we can deliver lakeside. Also available, guided tours. 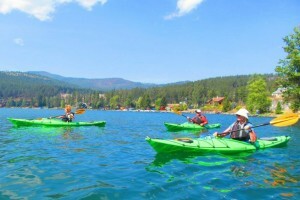 Half-day inflatable kayak trips for single or double paddlers. Or, try our SUP rentals on nearby waters. Both are fine for beginners, and inexpensive to try. You’ll discover Glacier National Park is a kayaking and canoeing paradise. 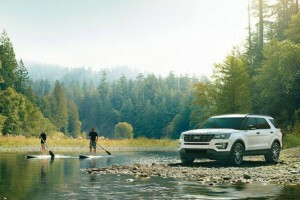 The rivers run high in the spring and summer as the snows melt, providing some excellent paddling. As you travel across the shimmering lakes, the sun warms you as you enjoy the spectacular views all around. Easy to reach from the Going to the Sun Road, Lake McDonald is at an altitude of 3,153 feet. This is the largest lake in Glacier and offers wonderful canoeing and kayaking, with a number of places to put into the water, including a public boat launch at Apgar. Bring your camera to capture your adventure, particularly how the surrounding mountains reflect dreamily in the lake. By paddling around the turquoise waters of Swiftcurrent Lake, you can reach a number of backcountry trailheads so you can climb to see Grinnell Glacier. This is just one of the benefits to kayaking on this lovely lake. Launch near the hotel on the shore. 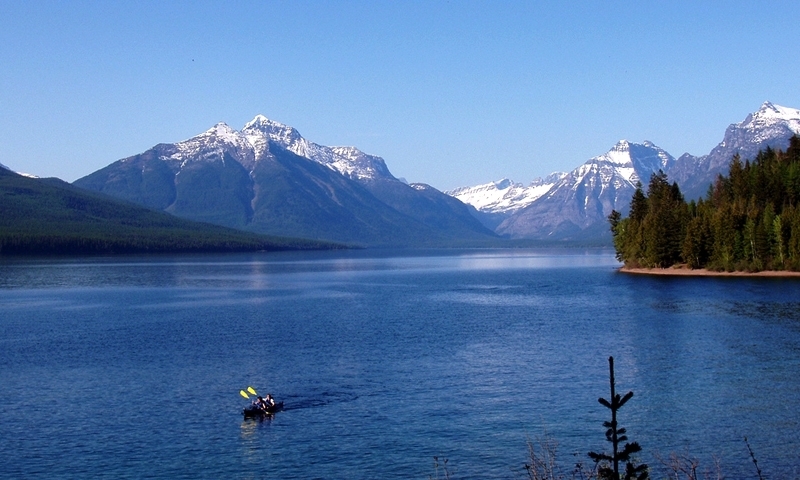 On the east side of the park, you’ll discover the beauty of St. Mary Lake, the second largest lake in Glacier. Waters here are cold, but you won’t have to worry about that from your canoe or kayak. At the west end of the lake, you’ll see Little Chief Mountain towering above. Also on the east side of Glacier, Two Medicine Lake offers some breathtaking views of Rising Wolf Mountain, and of course, the crystal clear waters of the lake itself. Getting to the lake is half the fun, with plenty of wonderful vistas and the wildlife grazing at the edge of the road. Bowman Lake is a remote lake that provides you with some privacy on your paddling adventure. The road leading to the lake alternates between paved and unpaved (but decent) road. This glacial lake is surrounded by pines and mountain views. Since no motorized craft are allowed on this lake, you will find it a kayak and canoe paradise, and truly secluded close to the Canadian border. It’s the fourth largest lake in the park boasting a campground that rarely fills. Day hikes are abundant, too, when you want to stretch your legs. This river is a popular river for kayaking, with Class II to Class IV rapids on some sections outside the park. The only section where canoes and kayaks are not permitted is the section of Upper McDonald Creek between Mineral Creek and Lake McDonald, from 1 April through 30 September. This is nesting time at that location for Harlequin ducks. When the winds start to blow, it’s best you always remain a comfortable distance from shore, or better yet, put in for the day. The wind here can kick up waves up to six feet tall. At any time of year, you must stay aware of the danger of hypothermia, as the lakes and rivers in Glacier National Park are extremely cold. You can rent kayaks at many locations in the park. The cost is usually $15 an hour for a kayak and $18 an hour for a canoe. There is no need to register or pay a fee to use your own canoes, kayaks and other hand/wind propelled boats. 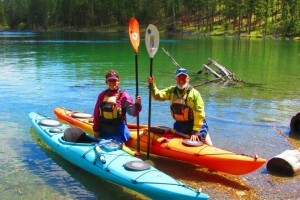 The park allows temporary use of your own boats without registering them with the state of Montana during your visit. 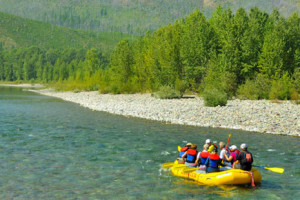 If you haven’t brought your own floating craft, you’ll find a number of companies that offer guided tours in and around Glacier National Park. When traveling through remote regions of the park, you’ll find there are many benefits to having the knowledge and expertise of professional outfitters. Browse the listings on this page to find a guide who fits your needs. 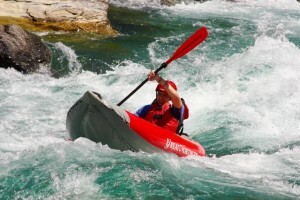 The US Canoe and Kayak team practices on whitewater and flatwater courses.